Decide to go motorcycle touring in Germany and you’ll realise just how much this country has to offer. In terms of destinations, Germany can be somewhat of an afterthought for some motorcyclists and it’s a huge mistake. Germany is packed full of bucket list destinations and roads like the Nürburgring, the Black Forest, and the Autobahn, to name but a few. There is so much to see and do as a motorcyclist in Germany that it really deserves an extra long trip. Eifel, a low mountain range in western Germany, is probably the most popular destination for motorcycle touring in Germany. Situated between the Rhine, the Mosel, and the High Fens in Belgium, Eifel is the home of the Nürburgring. So, if doing some laps of the ring is on your bucket list, Eifel is a must. But Eifel isn’t just about the Nürburgring, the roads in this area vary from gravely to almost race-track like, so there’s something for every type of rider. For some, the Black Forest or Schwarzwald, as it’s also known is another destination to cross off their bucket list. Located on the side of the Rhine, the Black Forrest is a wooded mountain range and an area famous for its cuckoo clocks. Although there are many roads in the area, the B500 is definitely the most popular for motorcyclists. Riding through dense forestry can be surreal, as can riding on a mountain but, mix the two together, and it will leave you speechless. There’s plenty to see and do in the area, like eat Black Forest Ham or Black Forest Cherry Cake, and visit the cuckoo clock factory. The L83 from Bühlertal to Raumünzach is located in the northern reaches of the Black Forest and a much less well-known road than the B500. It’s a fast road, in wonderful condition, with great views – in short, it’s a road for motorcyclists. To top it off, not too many tourists use the road so it’s generally not very congested and, apparently, there are no speed cameras. There’s a great spot, towards the end of the road, to pull in and take a break right next to an artificial lake by the Black Castle dam. The whole route is 16 km (10 mi) and takes around 20 minutes to ride. Start in Koblenz and work your way down to Bingen along the river Rhine and experience, not just the beauty, but the history on offer in Germany. Koblenz was established as a military post by Drusus around 8 BC, meaning the town celebrated its 2000th anniversary in 1992. About halfway between Koblenz and Bingen is Sankt Goar. One of the most famous castles along the Middle Rhine is located above Sankt Goar, which been a UNESCO World Heritage Site since 2002. Nonstop, the route takes about one hour 20 minutes, but it’s recommended you dedicate a day or two to this trip to soak in the history. In terms of scenic routes in Germany, the Romantic Road takes the cake hands down when motorcycle touring in Germany. From the culture and history to the views of nature, time and time again this route exceeds peoples expectations. Starting in Würzburg and finishing in the uplands of Allgäu, this road packs everything in from the medieval city of Augsburg to Neuschwanstein, the most famous castle in the world. The whole route is 400 km (249 mi) and, if you want to experience everything it has to offer, you should dedicate four to seven days to complete it. The Castle Road is, unsurprisingly, dotted with many of Germany’s famous castles. The areas you’ll pass through have endless myths, fairy tales, and legends associated with them. The 1,200 km (745 mi) route starts at Mannheim and continues all the way to Prague, in the Czech Republic. There’s a total of 70 castles along the route including Heidelberg, Bayreuth, Nuremberg, and Bamberg. Riding nonstop, the route would take three to four days but, if you were to stop and see every castle along the route it would take over a month to complete. So, the length of your trip will depend on how many castles you want to actually stop and see. Germany’s Alpine Road starts in Lindau, on Lake Constance, and finishes in Schönau, on Lake Königssee. This route, full of castles, valleys, rustic villages, and mountain passes, is one of pure driving pleasure and loved by motorcyclists and car enthusiasts alike. 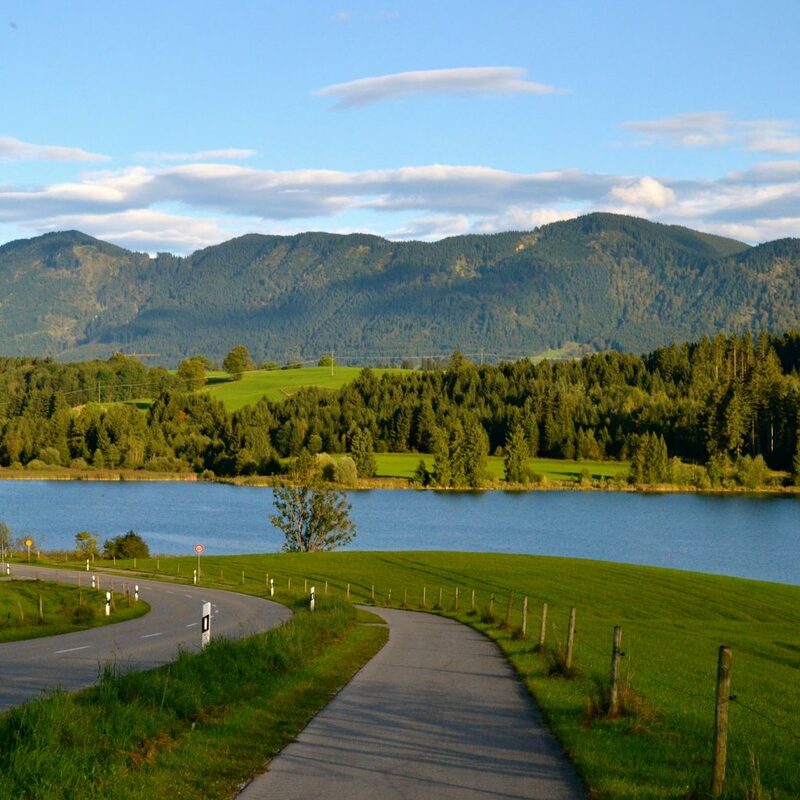 The 450 km (280 mi) route will take you through some of the most beautiful passes in southern Bavaria including Kesselberg, Oberjoch, and Sudelfeld. 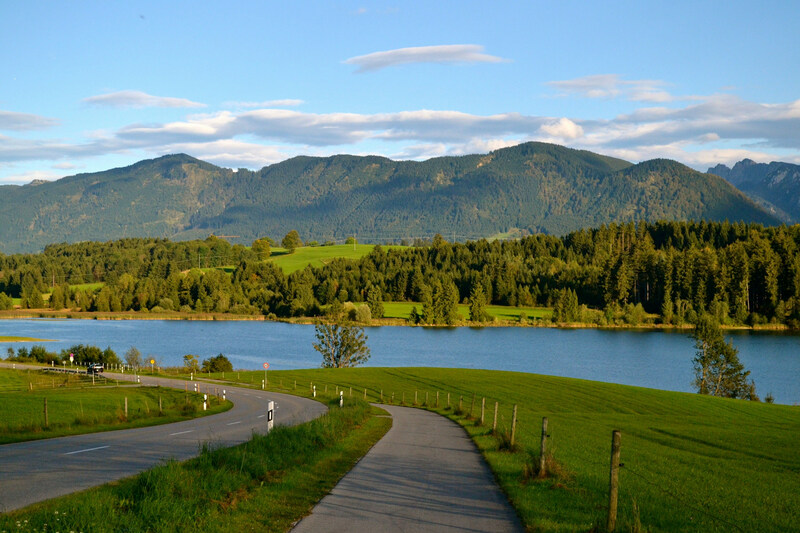 You should set aside at least three to four days for this route but, if you’d like to experience more of the Bavarian culture or take part in some outdoor adventure sports, add a few extra days. If you’re coming from the U.S.A, Canada, or Australia, you can stay in Germany for up to 90 days, in a 6-month period, without a visa. Plan to stay any longer than this, however, and you’ll need to apply for a visa. Anyone who’s a citizen of a Schengen zone country doesn’t need a visa to visit Germany. According to ATA Carnet, Germany is listed as a country which requires a carnet. Although the ATA Carnet website states, “If goods are properly imported into one EU carnet country and re-exported from a second EU carnet country, the Carnet holder is unlikely to encounter any claims fees.”. You are required to have motor insurance when motorcycle touring in Germany. Before you leave, contact your insurance company and inquire about your coverage abroad or contact the German branch of your motor insurance company. The roads in Germany are, generally speaking, very well-maintained. There are lots of road signs, in fact, some people argue there are too many road signs. If you see a road with ‘A’ on it, this indicates an Autobahn stretch of road. There are no vignettes required to travel on German roads and there is no toll fee, whatsoever, for vehicles which weigh less than 7.5 tons. The winter months can be dull and gloomy in Germany, whereas the weather is much better during the summer. So, for a pure riding experience, the summer months would be the best time to go motorcycle touring in Germany. However, some of the best cultural experiences happen later in the year, like Octoberfest and the famous German Christmas markets. Whether you decide to travel in summer or later in the year will depend on what you’re looking for from your trip. There are a few other things to be aware of when motorcycle touring in Germany. Motorcyclists and pillions must carry reflective jackets in case of an emergency and must wear helmets at all times. In built-up areas, there’s a 50 km/h (32 mph) speed limit, unless otherwise stated, and traffic from the right has priority. Although many motorcyclists do filter or lane split, it’s officially forbidden and can result in a fine. It’s also worth bearing in mind that German drivers are generally polite, courteous drivers who follow the rules of the road.